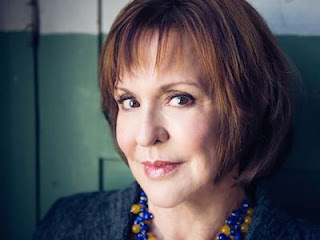 Please welcome Jacquelyn Mitchard to The Qwillery. 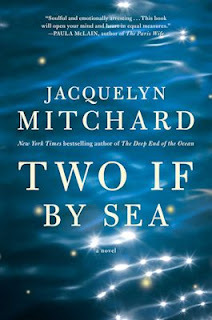 Two If by Sea will be published on March 15th by Simon & Schuster. The Qwillery: Welcome to The Qwillery. You've written nearly two dozen novels for both adults and young adults. Has your writing process changed over the years? What is the most challenging thing for you about writing? Jacquelyn Mitchard: After the thrill of the first paragraph, the whole writing process is an uphill slog through cooked oatmeal. At the top, I dance for five minutes and then think, oh, this book is terrible. TQ: Describe Two If by Sea in 140 characters or less. 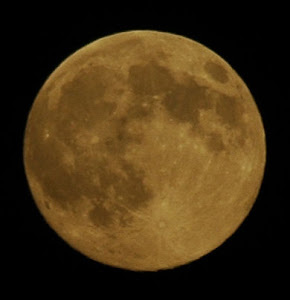 JM: The morning after his wife dies in the Brisbane tsunami, Frank Mercy rescues a miraculous child from the flood. TQ: Tell us something about Two If by Sea that is not found in the book description. JM: There are horses, so many beautiful horses. TQ: What sort of research did you do for Two If by Sea? JM: I did research on equestrian events and on the true face of natural disasters. TQ: What was your inspiration for Two If by Sea? JM: I was thinking about how “breaking good” is just so much more threatening to the status quo than “breaking bad,” and how that’s been borne out in so many ancient stories, the story of Jesus, for one. TQ: Two If by Sea takes place in 3 settings - Australia, the American Midwest, and England. How does 'place' affect the novel (or not)? JM: Place definitely affects the novel, because Frank Mercy thinks that he can find home — and all that “home” implies, safety and comfort and security — by moving from place to place, trying to outrun the thing he has to finally stand and face. TQ: Why have you chosen to include or not chosen to include social issues in Two If by Sea? JM: This is a big and timeless story a out the choice to risk love and involvement, against all the odds. I guess that’s the social issue, in a sense, but it’s not topical. 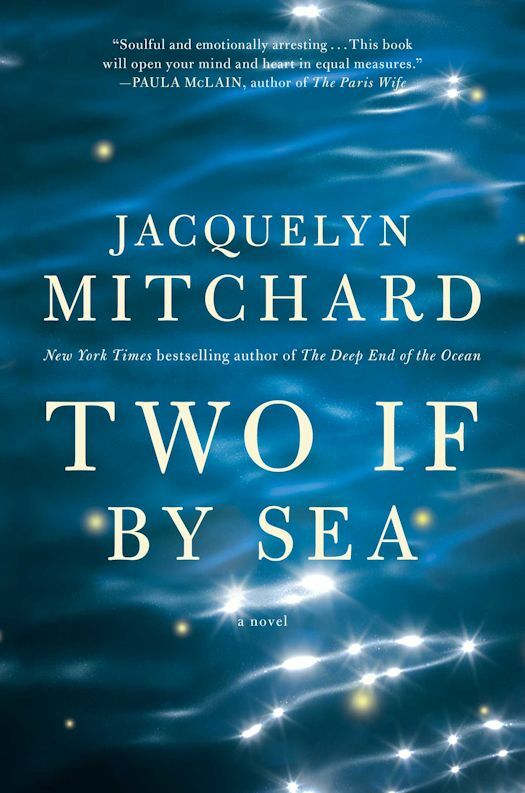 TQ: Give us one or two favorite non-spoilery quotes from Two If by Sea. JM: I’ve just finished a classic ghost story, about a girl who haunts two of her descendants, on the beach cliff where she died in 1540. A Puritan ghost, but it doesn’t prevent her from behaving badly. 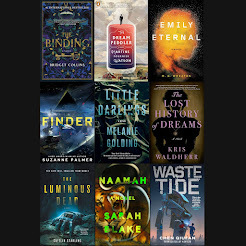 Two If by Sea starts out with a tsunami and loss and much death. Frank Mercy, ex-cop, horse trainer, volunteer rescue worker is happily living in Brisbane, Australia when a tsunami kills his wife and almost all of her large family. Frank helps with the rescue efforts and encounters a young boy, Ian, whom he rescues and then decides to keep as his own child. The reasons for this are not clear even to Frank initially. Frank leaves Australia and heads back to his family farm in Wisconsin and puts everyone there at risk because of Ian. Ian and his telepathic gifts are wanted by some very bad people. 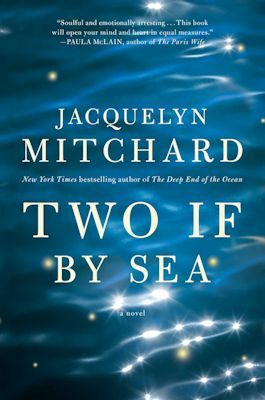 Two If by Sea is a lyrical novel that starts off fairly slowly for a novel that starts with a tsunami. The story really picks up after the 1st third. Frank's actions with regard to Ian seem baffling. Why would a straight-laced ex-cop steal a child? Ian's gifts are never fully explained and Claudia (a psychiatrist) even states that nothing like this has ever been proven. 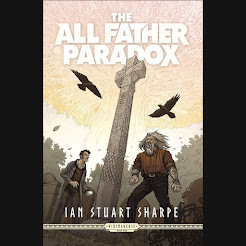 The novel could have worked just as well without Ian's gifts as for me they simply served as a way to bring the people hunting Ian into the story. Frank, Claudia, his family and hers are well detailed and deeply engaging. Two If by Sea is not really about a child's telepathic gifts. It is about family - the one you have and the one you make. It's about love, grief and and finding your way in a world that is sometimes inexplicable. On that level Two If by Sea is superb. New York Times bestselling author Jacquelyn Mitchard has written many novels for adults, including Two If by Sea. She has also written young adult novels; children’s books; a memoir, Mother Less Child; and a collection of essays, The Rest of Us: Dispatches from the Mother Ship. Her first novel, The Deep End of the Ocean, was the inaugural selection of the Oprah Winfrey Book Club, later adapted for a feature film starring and produced by Michelle Pfeiffer. Mitchard is the editor in chief and co-creator of Merit Press and a professor of fiction and creative nonfiction at Vermont College of Fine Arts in Montpelier. She lives on Cape Cod with her husband and their nine children.